Fits all E. Emerson Tool Co. Straight Edge Clamps (T20954-57). Aluminum jaws increase clamping surface to 3 3/4 inch wide by 1 1/4 inch high for assembly and glue up applications. Includes 4 screws for installation. 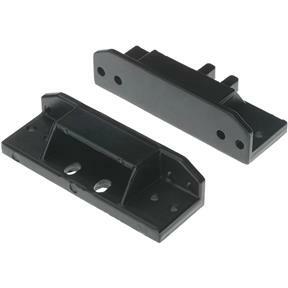 Set of two aluminum jaws for one clamp. Additional holes in jaws allow for attachment of customer supplied forms.